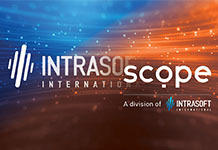 INTRASOFT secures ENISA win | Intrasoft International S.A.
For the next four years, INTRASOFT will provide its new client ENISA with online event management solutions as well as upon request event management services at a local level. While better known for its IT and software development activities, INTRASOFT has also been active through a highly competent team of professionals in the area of Information & Communication service provision to public sector institutions, for over 20 years. The team, under the commercial brand Scope, currently operates from Brussels, Luxembourg and Athens and offers a complete range of digital communication services.